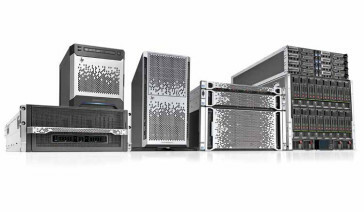 Get breakthrough performance and reliability, plus room for growth, in a tower server. Ideal for remote offices and growing businesses. Find the performance, reliability and scalability you need, in a rack-optimized server. Ideal for medium and larger businesses. Deploy integrated blades, storage, networking and management in a single, compact shared infrastructure optimized for business offices with limited IT resources. From your scale to hyperscale Whether you are looking to gain insight from data, enable a mobile workforce, or virtualize your environment, Dell PowerEdge solutions can get you there. Boost productivity with breakthrough processing power, massive memory capacity and highly scalable internal storage. Improve efficiency and availability with features like embedded systems management. For more distributed workloads and cloud deployments, Dell offers PowerEdge C servers, optimized for power, space and operating cost. Dell designed the Dell PowerEdge R920 server to act as the backbone of a large enterprise’s IT infrastructure. It provides the caliber of horsepower and massive memory capacity needed to accelerate large, mission-critical applications like customer relationship management (CRM) and enterprise resource planning (ERP), as well as to high-performance databases, including in-memory databases. 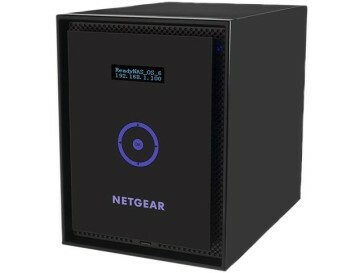 This top of the line server has been built specifically to facilitate quick data access with options like high performance RAID and up to 8 NMVe Express Flash drives, helping data centers avoid data bottlenecks and fully leverage its powerful processing capability. Redefine Office IT. Dell PowerEdge VRTX brings simplicity, efficiency and versatility to any office environment. VRTX is an unprecedented integration of servers, storage, networking and management into a single, office-optimized chassis the size of a desk-side tower server, supporting up to four server nodes and 48TB of storage. Integrated, pre-tested and certified, VRTX delivers a complete technology platform that users can deploy smoothly and operate confidently. Bring order to chaos, realize greater efficiency, and discover greater agility with PowerEdge VRTX. Dell PowerEdge and Dell PowerEdge C servers are now available with the Intel Xeon processor E5-2600 v2 product family. With up to 50% better performance and power efficiency, compared to the same servers running E5-2600 processors, our latest PowerEdge servers are engineered to handle the most demanding workloads in both large and small data centers.